When thinking of putting your items into storage you need to be certain that the storage facility that you are going to use will keep them completely safe because your items are valuable to you, otherwise, you would not be paying out hard earned money to store them. The truth is, there are a lot of self storage outfits up and down the country that are offering substandard services. The job for you is to access whether or not the facility offers the security and safety that you require for your items. 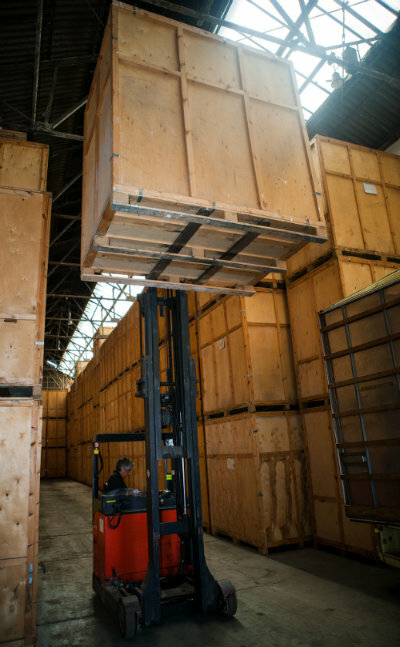 Here at AK Storage Sheffield, we have invested a lot of time and money to make sure that we can provide you with the peace of mind that you need when placing your items into storage with us. Storage Security is something we take seriously. We have also produced this blog post highlighting the most essential security features that any established self-storage facility, that you are considering, should utilize. Yes, it may sound obvious but there are many self storage providers that remotely operated facilities with computerized gated access. You know the type, large metal transport containers left on a gravel-covered yard. Yes, you will have 24 hours a day access, yes, your items will be insured… but at the end of the day, your items are left out there on its own. Probably the only time you will meet staff at this type of operation is when you pick up the key for the container and are given an access code for the computerized gate-access. And again when you return the key. Knowing that there will be staff on hand when you need them and that there are people checking the facility daily is a better way to go for the valuable items you have. The facility that you use to store your items must have security cameras for 24-hours a day CCTV surveillance as we do here at our depot. These cameras must be in full view, because cameras serve as a deterrent, throughout the facility, especially at the gate or entrance. Inquire how much the security camera feed is actually being monitored, not just recorded. Also, how are the recorded hours that are not directly monitored formatted? The recorded CCTV footage after a break in can assist in the recovery of stolen items and prosecution of thieves. There also needs to be as many motion-sensor security lights as possible. Another great deterrent. Motion-sensor alarms are of course the most important security tool for any self storage facility. These must cover all areas of the facility including offices and central areas. Yes, all storage facilities claim to be dry, secure self storage, but are they really? Most of the cheap metal transport containers used for storage that are left out on a gravel-covered yard are not actually very dry. The most common problem with this type of storage option is damp and mildew. These are the four main areas that must be functioning professionally by any self-respecting self storage company. Flashy logo’s and buildings are great but storage security should always be the top priority. Please read our other articles HERE, HERE and HERE for more great tips from the AK Storage team.